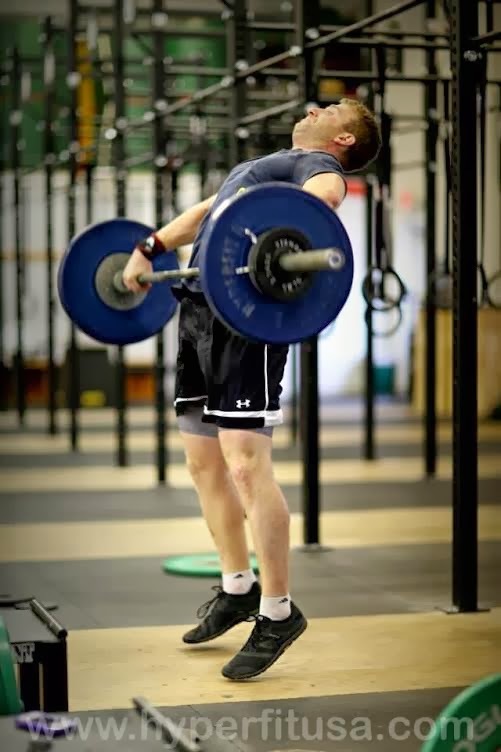 GUEST POST: This post was written by Avi Giladi, a plastic and reconstructive surgery resident training in health outcomes research, and an avid CrossFitter. Last week Kevin Ogar, a competitive athlete, coach, and certified CrossFit trainer, had an awful accident resulting in severe spinal cord injury. This occurred while he was performing a complex Olympic lifting movement, but it was something he – like many other athletes – had done thousands of times before. I assume he thought it would go fine, just like it had all the other times. As the nature of Kevin’s injury became widespread news, headlines were also reporting on under-enrollment of young healthy Americans in new health care plans supported by the Affordable Care Act. The message in these dueling headlines was unmistakable: even the most fit of athletes, who seem invincible, are just one accident away from major health challenges. Get health insurance so you can protect yourself, which also helps protect your loved ones and the community around you. New health plans and subsidies available in all 50 states make coverage possible for millions who could not access affordable plans just a few months ago. I have a unique perspective on this for the “young invincibles” – people in their 20s who figure that health care nightmares won’t happen to them – because I know them. Across my many years of playing rugby, and now as an avid “crossfitter” logging training hours 5-7 days a week with similar friends, many of my teammates and training partners are without health insurance. I’m fortunate to now have health care coverage through my job as a resident in plastic and reconstructive surgery; however, that wasn’t always the case. While in medical school I needed insurance, but the University plans were more expensive than I could afford. I spent hours looking for alternatives, eventually settling on the minimal coverage I could have and still meet requirements of my school – and protect myself while playing rugby. This experience helped me understand some of the tough financial and coverage decisions that many are forced to make when it comes to affording health care and health insurance. Whether we call healthcare reform the Affordable Care Act, or “Obamacare”, some of these tough decisions should now be easier thanks to this law. Plans with varying levels of coverage and affordable pricing are available. What we can learn from Kevin Ogar, and many other unfortunate athletes who have been injured doing something they love, is that not being covered is too dangerous – and far too costly. I’m not advocating that anyone still uninsured enrolls in the most expensive plan with the highest levels of coverage; however, whether you’re involved in rugby, CrossFit, biking, rock climbing, swimming, challenge races, skiing, running, or anything else athletic, you are putting yourself at risk. Considering how much time and money we spend on gear, supplements, clean eating, and training, as post-collegiate athletes we must also prioritize protecting ourselves, both physically and financially. I highly doubt any of us will stop weight training or Olympic lifting after knowing about Kevin Ogar’s unfortunate accident, and I doubt he would advocate that we quit. However, I hope that this event will motivate those who remain uninsured to tap available resources and get health insurance as you continue in your athletic pursuits. The deadline to enroll via the online exchanges is March 31, but there is no reason to wait. The benefits of health insurance go beyond just having coverage. Even if you seek medical attention that isn’t covered by your health plan, your expenses will still be far lower than those of the uninsured because your insurance company negotiates the pricing for you. And should something very unexpected happen, having insurance will make a big difference in your financial burden (and resultant family/network stress). Even treatment for more common and often less severe injuries, like fractures, ligament injuries, and others, can become costly – especially if surgery is required. Yes, the rollout of healthcare.gov in October 2013 was a letdown, but many of the web problems have been fixed. Inexpensive plans are available, through healthcare.gov or your own state’s health exchanges, and I encourage anyone still unsure about their health care coverage to research these options. You might even be eligible for financial assistance or subsidies. Enrollment won’t just magically happen, and the process might take you a bit of time. But, if you can spend hours (or weeks, or even months) trying to reach new milestones in your training, how can you truly tell yourself that finding a few hours to understand and acquire health insurance isn’t doable? Many community organizations are available to help with this process. Where I live, in Ann Arbor, Michigan, the Washtenaw Health Initiative has had success working with young adults in need of health insurance. They also distribute this very useful pamphlet. There are a growing number of similar resources across the country. While I know that many people reading this won’t need to use most of the coverage elements of their health insurance plan, and rarely – if ever – even see a doctor, you’re gambling with your future if you remain uninsured. I have been deeply moved by the outpouring of support for Kevin Ogar in the week since his injury, and it serves to show the strength of a community when one of its own is in need. I've read the articles that focus on the incident, the intensity of competition, and the community that remains devoted to pushing to the absolute maximum every day. When I show up for training I expect my coach to challenge me in new and often somewhat painful ways – that’s why I keep coming back. But that intensity comes with risk, the most serious aspects of which are completely unpredictable. All post-collegiate athletes, regardless of skill or intensity level, must have health insurance in order to protect themselves and their futures. Avi also got me through organic chemistry, so this is all his fault. Recently gave my awake intubation talk to our residents. Here's a screencast. tweet-in-brief + QOTD: Downstairs Care, Upstairs? I know next to nothing about nuts & bolts of hospital admissions, so I see ICUs basically as EDs for inpatients. Is that even close?